The Nokia 808 PureView has finally landed in swirling storms of hype. And of course, it wasn't given a chance to catch a breath. We did give it a proper welcome though. Some mean cameraphones and an EVIL digicam were all lined up to greet the guest and there we were too, finger on the shutter. Yes, we had ourselves a nice little shootout. But rather than simply tell you the score, we've decided to make you a part of the action. We give you side-by-side shots of what's probably the most exciting cameraphone contest we've had so far. If you're not too familiar with the phone, the Nokia 808 PureView was unveiled at this year's MWC in Barcelona, and made quite the splash with an unheard of 41MP camera sensor. Essentially, the device supports several shooting modes, in which the sensor is able to produce either a highly-detailed 8MP image, with the added benefit of a super-long zoom, or a full-resolution 38MP image that can be broken down to multiple 8MP crops. 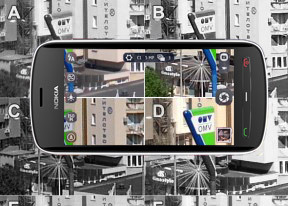 Needless to say, the PureView is one of the most-hyped devices we've seen for a while now, and Nokia have put a lot of talk behind the ridiculously large sensor. We've all seen video and camera samples of the device in action, but how does it really fare against what's on the market? This is where the blind test comes in. We want to provide a no-hype, no-nonsense look at how good the PureView camera really is, without the rampant fanboy-ism that surrounds all popular brands and devices. Here, we'll post just the results from the shootout, and randomly designate each contestant with a letter from A - F. You're welcome to guess which device stands behind each of the letters, but that's not the main point here. We've aimed to select some of the best in the cameraphone game. Here's the full list of participants (in no particular order). Update: The contenders have now been revealed and the voting is closed. Any comments posted now won't be counted towards the final score. We've stripped the EXIF info from all the photos, so no one will be tempted to check it and let it affect their votes. And here goes the first couple of 100% crops from each shot should help you make up your mind. 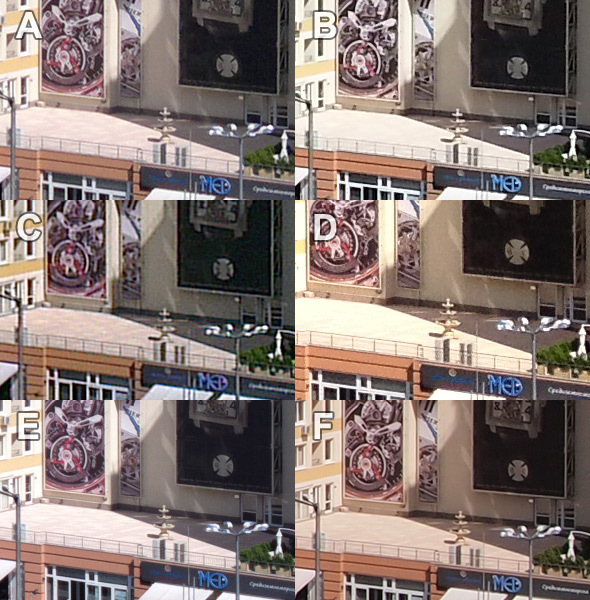 The second one also highlights the performance of the different cameras in the shadow areas. The noise levels are far easier to compare this way. 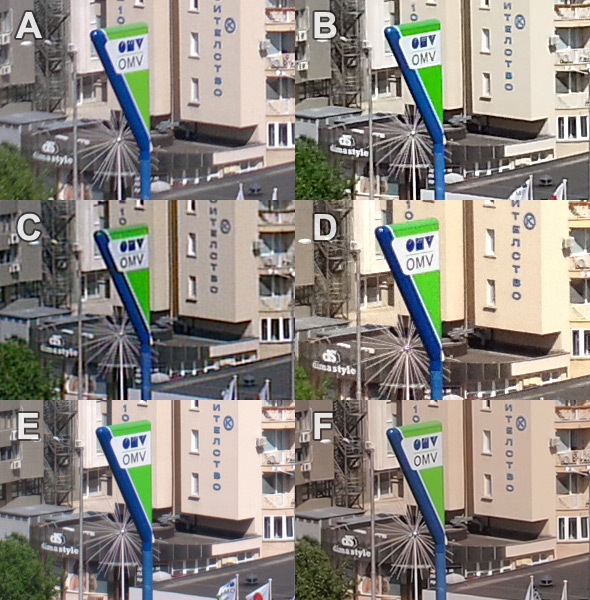 All images are taken as close together as possible, in order to give every player an equal chance. Also, both the Nokia N8 and Olympus E-PL2 have native 12MP resolution, so we had to downscale their photos to 8MP. The 808 was shot in "PureView" mode, which takes the full-resolution 38MP photo and reduces it to 8MP, essentially using the information from multiple pixels to create the so-called "super-pixels". So which one do you think is the the PureView and does it beat out the dedicated large-sensor camera? Share with the rest of us which image you like the most in the comments section. We'll reveal the contenders in a few days, as well as tally up all of the first place votes. Still haven't made up your mind? A second set of images can be found on page two.